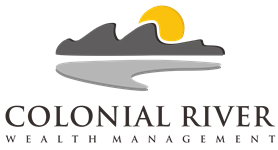 At Colonial River Wealth Management, we are held to a strict fiduciary duty when providing advisory services, meaning we are required by law to act in the best interest of our clients at all times. When proving brokerage services only representatives are held to a suitability standard, meaning they only have to recommend what is suitable for the client and not necessarily what is in their best interest. The fiduciary duty is a standard of accountability in the financial services industry. We choose to work with Investment Advisor Representatives because their licensing and restrictions benefit and work to protect you, the investor. We have a fiduciary responsibility to our advisory clients. We benefit when you benefit, and our firm is committed to your priorities being our priorities.